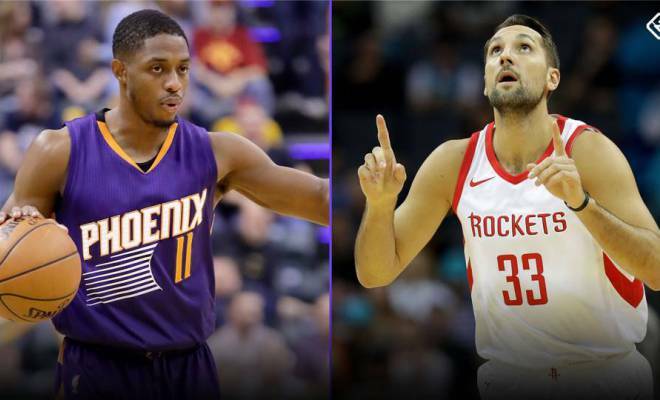 Every headline will begin with some version of “Rockets trade Ryan Anderson…” or “Rockets dump Anderson’s salary…” but in reality, Ryan Anderson is perhaps the least interesting part of last week’s Suns-Rockets trade. Without a doubt, Anderson’s contract, signed in the batshit crazy summer of 2016, was a fatal millstone in Daryl Morey’s team-building plan. The signing represented an epic miscalculation of value (albeit amid a sea of other, even worse miscalculations) from a man who stakes his reputation on getting those sorts of details correct. A 6’10” player who could stand around and bomb 27 footers while offering nothing else was a useful player 4-5 years ago; now that guy is an unplayable liability in a Playoff series. And when that guy also earns $20+ million a year for two more seasons, the price to get off the deal is a super-intriguing talent on a cost-controlled contract, AKA De’Anthony Melton. There’s a non-zero chance Melton is the only actual asset in this trade, even as he is being treated as some sort of throw-in to the deal. 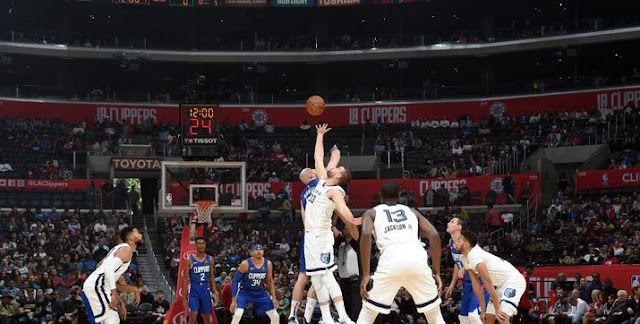 He was considered a lottery-type talent who was derailed at USC by the NCAA investigations, and he 100% looked the part of a real NBA player at Summer League, regardless of how predictive one considers Summer League success to be. So the Suns rented out their effectively worthless cap space to let the Rockets out from under the weight of Anderson’s albatross deal, extracting a potentially good young player who costs them nothing and fits with their existing timeline. Bully for everyone, right? Maybe. For such a transparently simple-looking salary dump, there are quite a few potential layers to it. The flexibility achieved from getting off Anderson’s deal is obviously the selling point for Houston, but it goes deeper and probably portends additional moves coming. Brandon Knight is still owed $30+ million over two years and is at the nadir of his value, having not played a competitive minute in 18 months after coming off an ACL tear. Buying low on him may be the smart move here, though. Worst-case, he is a shell of his already inefficient self, and Morey has simply acquired a slightly less expensive millstone. Best-case, he comes back and is actually useful, allowing Mike D’Antoni to use him liberally to spell Chris Paul, keeping CP3 fresh for the postseason, which, based on how last season unfolded, appears to be an absolute necessity. A possibly more intriguing scenario is where Houston spends the first 40-50 games rebuilding his value, then packages his significantly-more-tradeable $15 million salary in an “all-in” deal to take another run at Golden State. Taking a flier on Marquese Chriss also makes sense. He has been a somewhat predictable bust to this point of his career whose only real claim to fame is leading the league in blown dunks, but he’s only 21 years old, and perhaps a change of scenery will do him good. I don’t particularly believe that will be the case, but even if I’m right, it’s still a win for Houston. They can see what they have in training camp and early on in the year, and if they determine the answer is “nothing,” then they create additional roster flexibility and save another $4 million against the cap next season by declining his fourth-year option. Morey has to think CP3’s new four-year deal will become an albatross by the end, leaving a 2-3 year window to compete for titles, so he doesn’t necessarily have to move all his chips to the center of the table in ‘18-’19. Some might argue he already did with the Carmelo signing, but when you pair that move with this trade, I would say he’s actually lowered his risk profile (to borrow Daryl’s phrase) by effectively turning over Anderson’s minutes to Melo, who for his many faults, remains a superior, more useful player at this point in his career, and at a bargain salary. And if Chriss somehow makes good on his talent, then you have a nice rim-running, lob-catching backup for Clint Capela at a palatable salary figure next year who also brings theoretical outside range (which, in case you haven’t heard, the Rockets like to shoot 3’s a bit). This is all a roundabout way of saying I like this trade for both teams. The Suns add probably the most impactful player in the trade (Melton), while Anderson (assuming the Suns can’t find another taker for him, which seems unlikely) gets to stand around for two seasons, listlessly jacking up 3’s while playing traffic cone defense, ultimately costing an already-rebuilding Suns team a few extra wins and bolstering their lottery chances (even with the new odds taking effect next year), and pockets a cool $40+ million for his “efforts.” Houston gets its much-needed cap flexibility, as well as the seamless upgrade of Anderson to Melo at the 4, plus a low-cost tryout for a talented big. Phoenix moves on from a young guy who just wasn’t working out for them, as well as the likely addition-by-subtraction of Knight, who doesn’t fit the team’s competitive timeline and whose inefficient, ball-dominant style would only serve to stall Devin Booker’s development as a lead playmaker by taking the ball out of his hands. Houston may come to regret giving away Melton, but it is the price to be paid for the sins of 2016, so at least they took their medicine in the pursuit of something greater. Houston’s grade for the deal remains somewhat incomplete, since we don’t know what other moves will be made downstream as a result of the flexibility afforded by this trade, but even of its own accord it’s pretty solid. It might be even better for Phoenix, and I don’t downgrade them for the whole “they don’t have a starting point guard on their roster” narrative. It makes total sense to turn the reins of the offense over to Booker (playmaker with size alert!) and see what they have in rookies Melton and Elie Okobo. If one or both of them can handle a Derek Fisher-type complementary role, great. If not, they can theoretically still compete by just surrounding Booker and Ayton with long, rangy wings at the other three spots on the floor (some combination of Jackson, Ariza, Bridges, and Warren). They have Tyson Chandler’s moderately enticing expiring contract as a trade chip this year, and eventually, Anderson’s stinker of a deal will come off the books right in time for the team to extend their young guys and be ready to make a run at the West as the existing powers (hopefully) decline. That’s a good job by you, Phoenix!